Pension plans are retirement plans funded entirely by your employer for your benefit. Accrued pension benefits represent the total amount of money that has been saved up for your retirement. When you retire, you employer will distribute these funds using a variety of investment or insurance products, but generally an annuity is used. However, there are only two main types of pension benefits. Defined-benefit plans use a fixed-benefit amount during retirement and the accrued benefits are calculated by a formula that is determined by the company and can be based on the number of years of service or a percentage of salary. 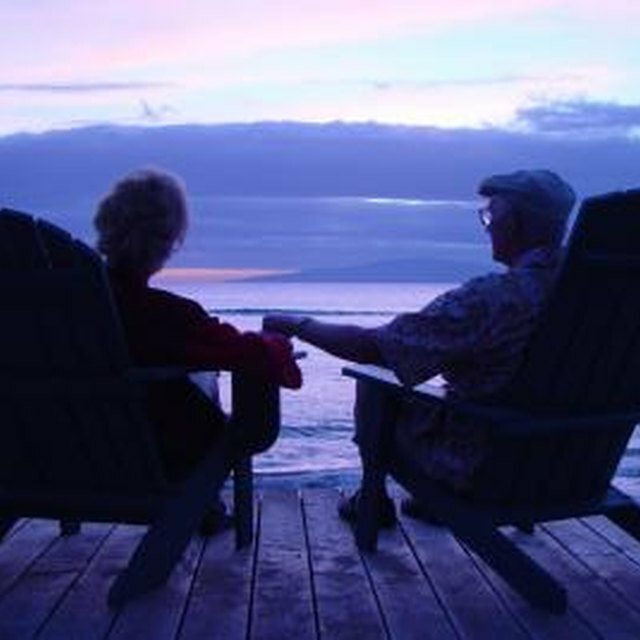 Defined benefit plans promise the employee a set retirement income at a certain age. These accrued benefits are fully vested after three years of service and cannot be taken away. Defined-contribution plans offer a fixed contribution amount for the employee. This dollar amount never decreases or increases over time. Benefits accrue based on the investments in the pension. These investments ultimately determine what the employee's retirement income will be. For example, the employer might define $500 per month as the contribution for the employee. This benefit will be ongoing for as long as the employee works for the company. Life insurance or annuities are the most frequent funding vehicles for defined-benefit and defined-contribution plans. Insurance products offer the stability and safety that a pension needs in order to pay promised benefits and secure the promised contributions for the employee. However, mutual funds, company stock, and other investments might be used for pension plans.